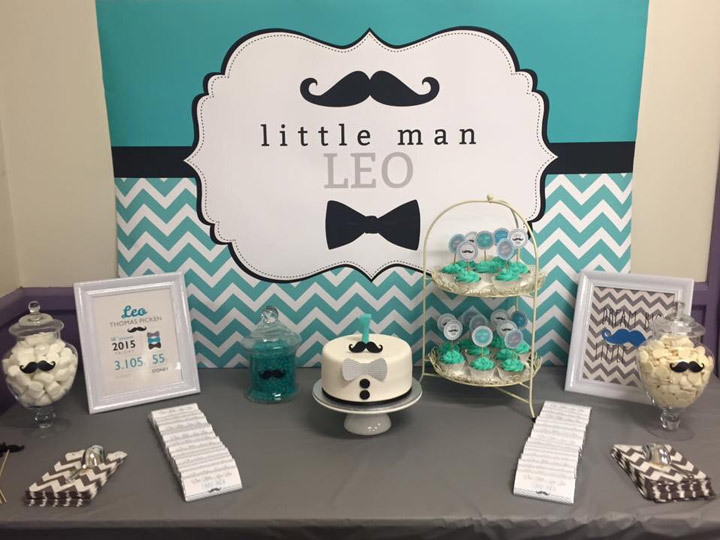 One of our most popular and cutest themes is the Little Man theme and lately we have been getting a lot of requests for colour changes. On this occasion, my client Mel’s theme colours were turquoise, silver, black and white. Have a look at that gorgeous cake, it matches our backdrop beautifully. I also love the touch of mustaches on the lolly/candy jars, very cute. I hope these party images are giving you ideas for your next celebration.